PRP (PRP) therapy is an exciting new non-surgical therapeutic option for natural hair growth and stimulation. We offer PRP therapy as an innovative scientifically based natural non-surgical hair restoration therapy. PRP promotes hair growth from follicles by the action of platelet growth factors on hair follicle stem cells. The platelet growth factors induce follicle stem cells to shift from a dormant state to an active state that starts the process of hair production. The PRP/Stem cell treatment is completed in 1 hr, after that you can resume the normal activities. It is completely safe, painless and does not have any side effects. After the treatment no special precaution is needed. At Advanced Hair Transplant Centre we make use of the Harvest SmartPReP2 Technology (Harvest Technologies GmbH, Munich, Germany). SmartPReP is the first system designed for rapid, point-of-care preparation of Platelet Rich Plasma (PRP). The SmartPReP produces a predictable Autologous Platelet Concentrate (APC ™) enriched with multiple Growth Factors. SmartPReP produces viable platelets increased 4X or greater above baseline levels; the clinical requirement needed to accelerate healing. SmartPReP provides the necessary concentrations of platelets, growth factors, and white blood cells vital for initiating and accelerating tissue repair and regeneration. The device is US FDA, CE and DCGI approved. From the time of blood draw, it takes just 15 minutes to obtain the final Platelet Rich Plasma. The Platelet Rich Plasma containing the reparative components is injected into the area of the scalp that is devoid of natural hair growth. This can be done essentially as an outpatient procedure. Scalp roller with 1mm fine needles is subsequently used over the treated area to stimulate the stem cells as well as to increase the blood supply leading to better hair growth. The hair is left unwashed post procedure at least for the next 24 hours with a head gear on. No bandages / dressing is required at the site if Platelet Rich Plasma is the sole protocol used. Usually there is no time lag post procedure and can resume regular activities just after the procedure. The stem cell/PRP treatment has shown benefits by improving the density and thickness of the previously transplanted hairs . by this treatment the desired density can be achieved in 2-3 sessions only. A: In this therapy, patient’s own blood is taken and sent to lab to prepare a layer of plasma, rich in platelets and different growth factors. It is then injected into the scalp with hair thinning/loss. This procedure is done under local anaesthesia to make it nearly pain free. Scalp roller with 1mm fine needles is subsequently used over the treated area to stimulate the stem cells as well as to increase the blood supply leading to better hair growth. Patient can shampoo next day morning as usual. Q: Where is this modality effective? A: PRP seems to work better in patients with diffuse hair thinning caused by any cause including alopecia androgenetica (common baldness). It also found to be effective in alopecia areata. It is not that much effective in patients with complete baldness and scarring alopecia. 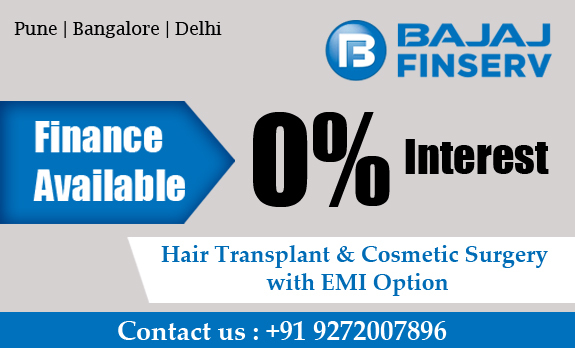 It can be used in conjunction with minoxidil, finasteride & hair transplant. A: It is a biological therapy. Prepared plasma contains platelets which are numerous than in normal blood. It has different growth factors especially PDGF and VEGF. Both these factors have significant positive effects on hair growth. PRP may actually wake up dormant stem cells in the follicles giving new hair growth. So this therapy gives strength to the existing hair, reduce hair fall and likely to increase the actual number of hair by stimulating the stem cells. Q: When to see the progress? A: Generally hair shaft become thicker and looks more lustrous with reduction in hair fall within 4-6 weeks while new growth is likely in about 4 months. Q: What is the frequency of PRP? A: Depending on the stage of hair loss and severity the optimum results usually require approximately 3 sessions performed 4 weeks apart. A: PRP has been used successfully in other medical and surgical disciplines for many years. PRP is safe and natural because the procedure concentrates the good cells from your own body directly back into the area where it is needed. There is absolutely no chance of getting a blood infection from another human being. PRP involves using your own cells and it will not be rejected by your immune system. Q: Can it be combined with other medical treatment for baldness? A: PRP therapy can be used as additive therapy for those patients who are not eligible for surgery or who want to delay hair restoration surgery. As a non-surgical treatment option, PRP therapy can be used with Minoxidil and 5 DHT blockers or for those patients who can not tolerate or have side effects with these medications. Q What is the total cost of the treatment? The charges per session is Rs 20k inclusive of all.